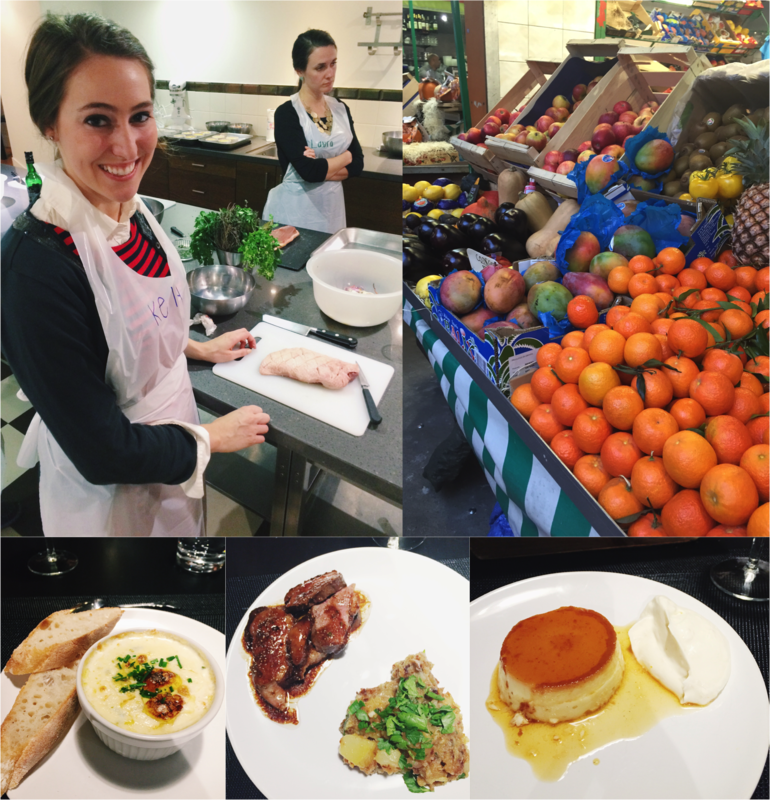 French Market Cooking Class at La Cuisine Paris // To satisfy all of my French gastronome fantasies and channel my inner Julia Child, I could not leave Paris without taking a cooking class. I settled on La Cuisine Paris after David Lebovitz suggested it in the New York Times. The class began with a walking tour of historic French markets, where a Parisian chef worked with our intimate class of eight to come up with a dinner menu based on the seasonal ingredients. We then made our way to the cooking school, where we worked together to prepare the meal, absorbing tidbits of French culinary wisdom along the way. On the menu was Magret de Canard, Sauce a la Figue (duck with fig sauce), Oeuf Cocotte (creamy egg casserole), and Crème Caramel (a custard-like dish with caramel), which of course, were accompanied by a cheese platter (Comte, Camembert, and a creamy goat cheese), sliced baguettes from a local boulangerie, and a generous serving of white wine. The magic of the evening carried all the way over to the dinner table, where we enjoyed the fruits of our labor in a charming dining room overlooking the dreamy Siene river. 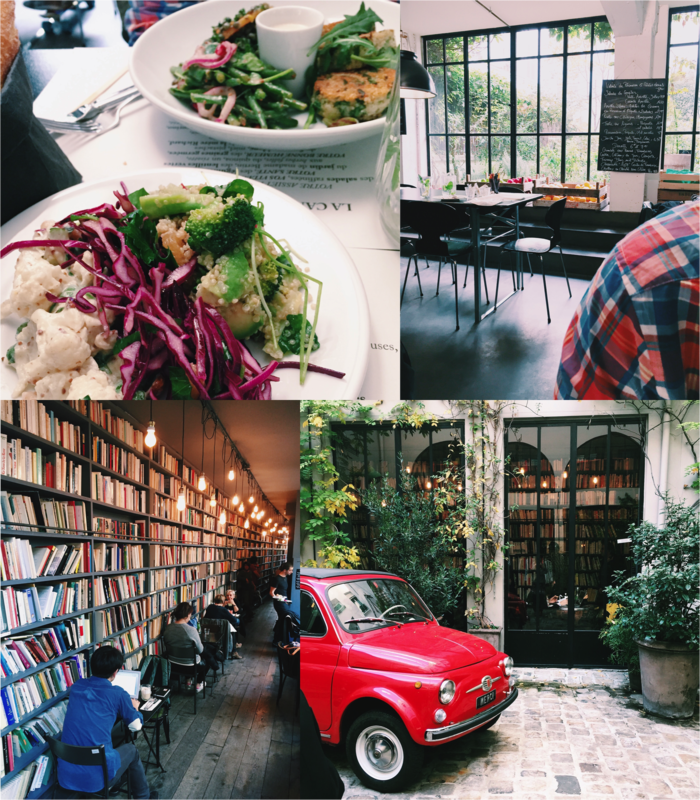 Lunch at Merci // After spotting the dreamy red Fiat and handsome wall of bookshelves on Instagram several months ago, a visit to Merci got upgraded to the top of my Paris wishlist. Merci is a large store selling trendy home goods, decor, and clothing, and is great for picking out souvenirs. But the deceptively large building also houses three charming cafes. We ate in the Merci Canteen, a bright and airy dining room that features a healthy, vegetable-forward menu (see top two photos). There is also a used book cafe (bottom left photo) and a cinema cafe. Dinner at Piroutte // The grainy photos don’t do this place justice. This dinner was arguably one of the very best meals of my entire life. We made a reservation online about 2 or 3 weeks in advance, after seeing the positive reviews on Paris by Mouth (so grateful for online reservations when dining internationally!) Every dish we ordered was superb (the 3 course tasting menu ran for 42 euro), and the elegant yet rustic dining room was absolutely charming. Other can’t-miss food experiences in Paris were the warm crepes (the ham-cheese-egg combo became a breakfast ritual, as little croissants can’t tide me over in the morning) and the ice cream from Une Glace a Paris. Youtube is Your Friend: I never took art history in college, but I certainly didn’t want to wonder through one of the greatest art collections in the world without appreciating what I was looking at. A few days before visiting the Louvre, we watched a BBC documentary special called “Treasures of the Louvre” on YouTube (a little over an hour long). It was such a great look at the museum, that we took a similar approach for the Musee d’Orsay. And yes, there was a mandatory Midnight in Paris viewing before we left the states. Get a Museum Pass: If you’re planning on visiting multiple museums or attractions (and why wouldn’t you?) be sure to pick up a museum pass. It allows you to cut the line at the Louvre and a few other museums, which is worth the price alone. Google Maps: At the risk of sounding technology dependent, I am so grateful that I was able to use Google Maps on my phone. Directions aren’t my strong suit, and throwing a foreign language into the mix certainly doesn’t help. If you’re able to swallow the upfront cost of getting a temporary international data plan (I used AT&T Passport Silver: $60 for 300MB), it will make your trip so much less stressful. (Note: for a data-free map option: I recommend City Maps 2Go Pro, which runs for $4.99 in the App store). Google Maps was also great for trip planning, as I was able to create a custom map with different colored pins for different categories (restaurants, attractions, etc) and create layers within the map (one for each day, with the capability to map out a route between attractions). To learn more about custom Google Maps, see this tutorial. 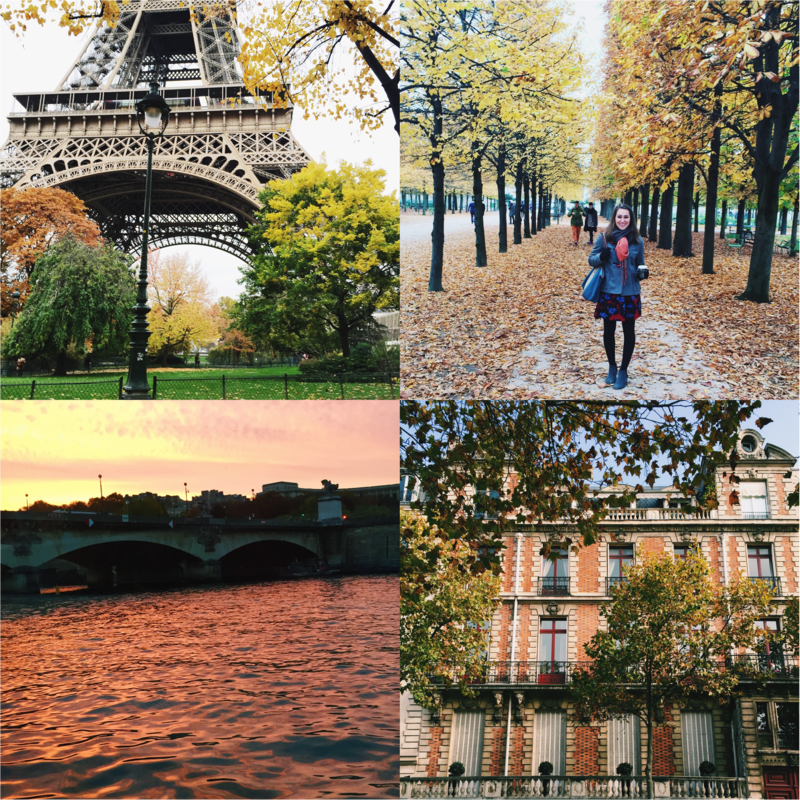 What are your Paris favorites? It all sounds amazing!! So happy you got to take this trip, Kelly. The cooking class must have been so fun.